Get Creative with your color choices! All stitches worked on the mitten (except band) are to be worked through the front of the stitch. 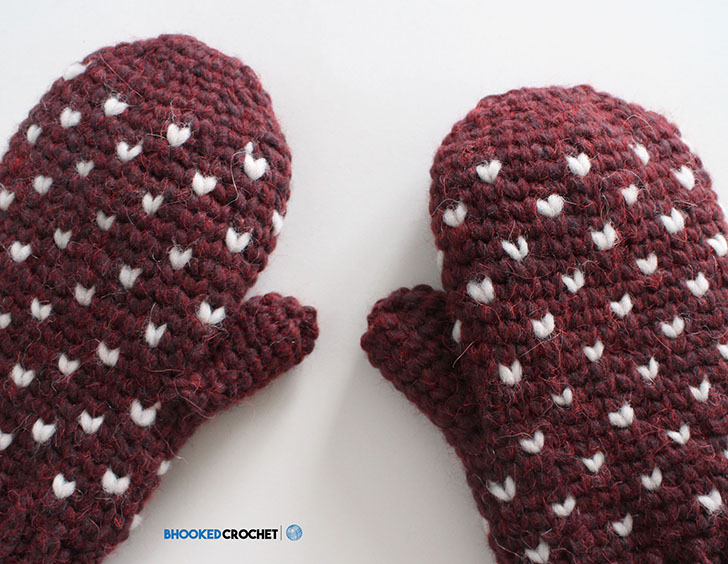 Insert your hook in the middle of the stitch from the front of the work and work your single crochet. 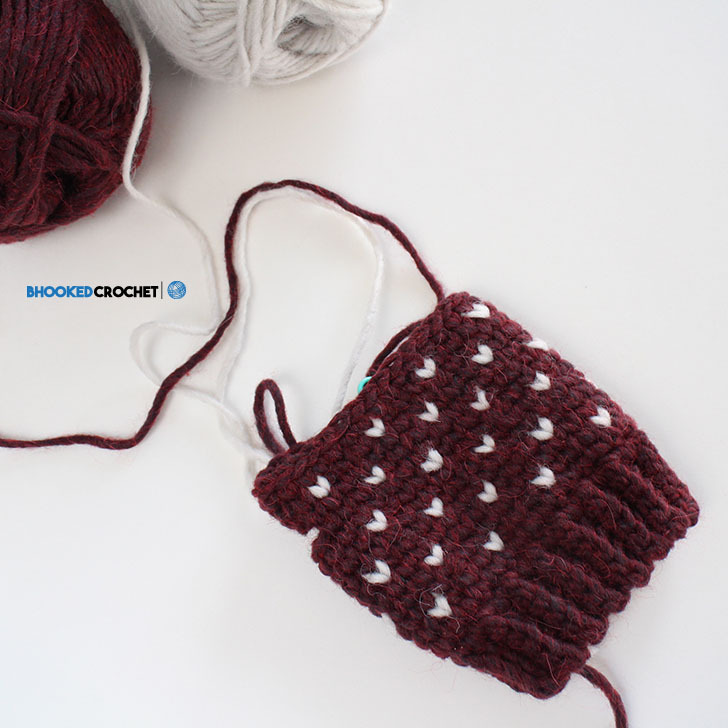 When working Fair Isle pattern, hold non-working color floats to inside of mitten. Rounds are worked in a spiral. Be creative with your color choices! The sky is the limit when you have 24 options to choose from. Check out all the amazing colors of Patons Alpaca Blend Yarn! 1st Row: Ch 6. SC in 2nd ch from hook and in each rem ch. Turn. 2nd Row: Ch 1. SC in BLO each st.
Rep last row until your band measures approximately 6.5” [16.5 cm] from starting edge. 1st Round: Ch 1. SC in same space as ch. Evenly space 32 SC. Do not join. Continue in spiral and mark first st with a marker. All single crochet stitches after this point are to be worked through the front of the stitch as directed in pattern notes. 2nd Round: SC in first st and in each rem st.
3rd Round: SC first 3 sts with color A. Work 4th st with color B. *Sc next 3 with color A. Sc 4th st with color B. Rep from * to end of round. 4th Round: as 2nd round. 5th Round: with color A, SC first st. *SC next st with color B. SC next 3 with color A. Rep from * to last two. SC last two with color A.
Rep last four rounds once more. Next round: as 2nd round. Next round thumb shaping (right hand): *with color A SC 3. With color B SC next St. Rep from * 4 times more. With color A SC next 3. Ch 6, SK 6 STS. With color A SC in next 3. With color B SC last st.
Next round thumb shaping (Left hand): *with color A SC 3. With color B SC next St. Rep from * once more. With color A SC next 3. Ch 6, SK 6 STS. With color A SC next 2. With color b, SC next st. (with color a SC 3. With color b SC next St.) three times more. Next round: with color A, SC every st and every ch. Next round: as 5th round. 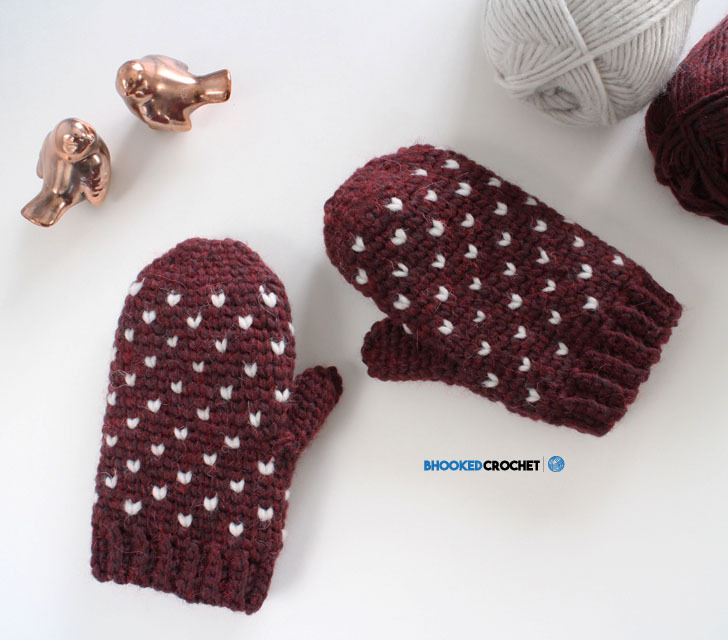 Continue with repeat (2nd round – 5th round) until your mitten measures approximately 7.5″ [19 cm] from bottom of ribbing, ending on a color work row. Fasten off color B. Next round: SC all sts. Next 2 rounds: SC each st.
Fasten off leaving an 8” [20 cm] tail. 1st Round: Fasten on color A in any stitch of thumb hole. Evenly space 12 sc around opening. 2nd Round: SC each st.
Rep 2nd round until your thumb measures 2.5” [6 cm] and fasten off leaving an 8” [20 cm] tail.. Create a drawstring closure for thumb hole by weaving your tail in and out of each stitch. Draw it up and secure the closure by weaving in your remaining tail around opening. 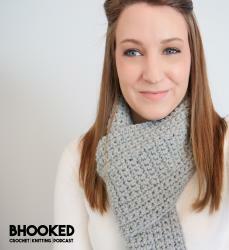 Turn mitten inside out, seam opening at top and weave in your ends. Hi Jan! Thank you so much for the kind words and support. I really appreciate it!